I have loved the look of hand engraving from the first time I examined an intricate monogram cut into a piece of antique silver. The connected swirls and loops created a set of letters that represented someone, a token of a special moment in time, set in a permanent and elegant design~it captured my imagination. 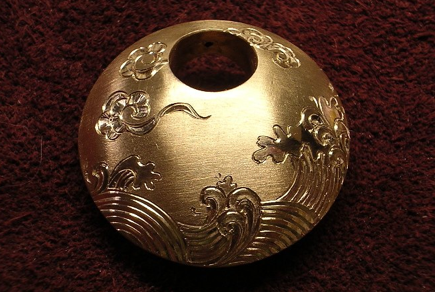 The care and beauty of the engraving drew me in, and I was determined to learn how to do that! I have been engraving now for over 25 years, and still love the feel of the lines taking shape beneath my gravers. I have continued to study my craft, taking lessons from some of the masters, and constantly challenging myself to rise to the level of those engravers who first inspired me. The gallery that follows includes samples of my work, both commissioned and original.